The Music Cities Network Jazz Residency enables the member cities to set up a worldwide exchange of aspiring jazz artists. Directly embedded in local networks within the respective host city, new relationships and thriving innovative processes will develop. The Music Cities Network Jazz Residency program consists of 1 week recording studio collaboration between 4-5 artists coming from MCN member cities at the Clouds Hill Recordings Studios in Hamburg - plus the opportunity to present their work and the results of the collaborations at Elbjazz 2019, one of the largest European jazz festivals. - The open call is addressed to the local music scene via the MCN member cities in cooperation with local (jazz) partner institutions. 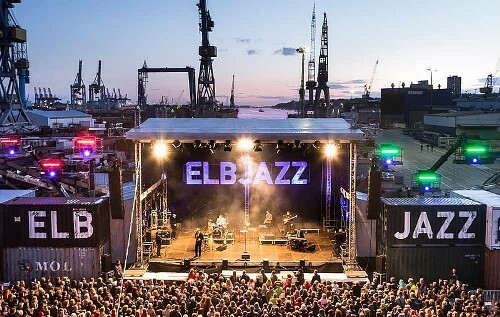 - The final decision will be taken by the Elbjazz curators. - MCN will cover travel costs. The rest (accommodation in the Clouds Hill Studio facilities, food and production costs) are covered via a partial funding via the Musikstadtfonds of the Department of Culture and Media of the Hanseatic City of Hamburg. - Please send us a short bio + photo in English - featuring touring & recording experience + links to web/FB/instagram and a link yo either Soundcloud or Spotify (no drop-box, mp3 etc) – and email to: info@promus.dk - no later than the 15th of April. For further questions don't hesitate to contact us: info@promus.dk - 86 94 20 19.
development through showcases, residencies and networking activities. Aarhus, Bergen, Berlin, Groningen, Hamburg, Nantes, Reykjavik & Sydney.